Keynote speaker Robert Genetski is an experienced economist with an impressive academic and business record. He has headed asset management and investment research departments, and taught economics at NYU and The University of Chicago’s Graduate School of Business. Robert Genetski is also the author of numerous books and articles on classical economics and monetary policy. 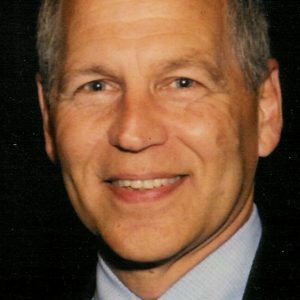 Dr. Robert Genetski is the founder and President of ClassicalPrinciples.com, a global economic and financial consulting service. His experience in the world of economics and finance involves a unique combination of business and academic expertise. He has headed asset management, investment research departments and served as the chief economist for several financial institutions. He has also taught economics at NYU and the University of Chicago’s Graduate School of Business. Robert Genetski is renowned for using humor and anecdotes to make complex economic principles easily understandable. For five consecutive years he has been recognized as one of the top 5 speakers in the field of Economics/Finance. He has appeared on CNN and Fox News and his articles have appeared in the Fortune, The Wall Street Journal and Investors’ Business Daily. Robert Genetski is the author of a number of books, notably A Nation of Millionaires, Taking the Voodoo out of Economics, and Winning with Money. Dr. Genetski’s latest book, Classical Economic Principles & the Wealth of Nations has received rave reviews for its clear, concise explanation of the economic policies necessary to promote wealth and prosperity. He has served on the board of directors for a number of public companies. Dr. Genetski has been a longtime advocate of classical economic principles. Dr. Robert Genetski uses humor and anecdotes to explain how classical economic principles can help us anticipate where the economy and financial markets are heading. The presentation looks at upcoming government policy changes and how they are likely to impact various parts of the economy. The presentation can be altered to focus on specific areas of the economy to accommodate different audiences. This presentation focuses on the dynamic changes occurring throughout the world in terms of policies, growth and financial markets. The presentation is based on Dr. Robert Genetski’s upcoming book, Classical Economic Principles & the Wealth of Nations. Learn what is driving the major global economic changes and the implications they have for our future. This presentation deals with the key factors that determine movements in financial markets. Dr. Robert Genetski explains the key elements that determine both long-term and short-term movements in interest rates and stock prices. The presentation presents some of Genetski’s original research into interest rate and stock market behavior. Excellent speaker; very engaging, very personable!